CONFERENCES can be unpredictable, particularly if the agenda is a broad one and many of the participants have knowledge and expertise to bring. And so it proved at Glasgow Caledonian University’s one-day event, which took place last week. Four sessions were planned, with ample time for discussion. The speakers all had incisive contributions to make. Tom Thomson, managing editor of the Herald Group, laid out what he considered to be the future for newspapers in the digital world and argued that, despite the dramatic circulation falls we have witnessed in recent years, it is possible for titles to survive, provided they are able to construct a business model which monetises online patronage to a sufficient level. Some of the audience were concerned, however, that the reluctance of many young people to read papers, whether in traditional or online form, represents a very serious problem for the press which will only get worse as the cohort in question ages. Michael Bromley, of City University in London, who has worked across the world as both journalist and academic, added to this discussion several important insights from the experience of other countries, which have struggled to find ways to ensure that high-quality, public-interest journalism continues to appear, despite the declining revenue bases of the press and some broadcasters. It seemed to many in the audience that he was arguing that some new way has to be found – despite the British aversion to any notion of media ‘subsidy’ – to keep the ‘show on the road’, and to ensure that those in authority are held to account by determined journalists. In the session on press regulation, Charles McGhee, former editor of The Herald and now a board member of IPSO – the regulator established by the British press outside the Royal Charter framework which the UK Parliament has endorsed – argued that, in fact, IPSO was the ‘only show in town’. 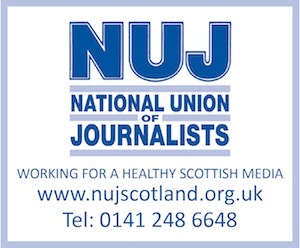 Surprisingly, perhaps, Fiona Davidson of the National Union of Journalists, although critical still of aspects of IPSO, in particular its dependence on the press industry for its very existence, conceded that the gap between what her union would regard as acceptable to the public and what is currently in operation is not as large as, for example, the Hacked Off campaign would argue. In the session on broadcasting, Neil Blain of Stirling University reviewed the history of the seemingly never-ending discussion of how Scottish – and British – broadcasting might be restructured to better-represent the nations of the UK to themselves, each other and the wider world, while David Strachan, of Tern Television, drew on his experience as MD of a non-metropolitan ‘indie’, which has a strong track record but still finds it difficult to deal with an inherent metro-centredness of London-based controllers. A member of the audience observed that there would be no real progress in television in Scotland until selecting the entire output of the main channels, north of the border, became the responsibility of channel controllers based in Scotland. Only the controller of BBC Alba currently is able to do that. At that point, the discussion turned in ways which had not been predicted by the organisers – at least not by this member of the organising team: to the BBC Royal Charter renewal process which is scheduled to begin after the General Election, and to broadcasting regulator, Ofcom’s current consultation on the future of public service broadcasting in the UK. A strong feeling emerged that some way should be found to ensure that not only those with professional ‘axes to grind’, but also the general public, should have the opportunity to initiate a discussion on the future shape of Scottish broadcasting and to make some kind of joint representation to both Ofcom and whatever government emerges at Westminster after May. A job for the Scottish Civic forum, perhaps? David Hutchison is Visiting Professor in Media Policy at Glasgow Caledonian University.